Interested in receiving this straight to your inbox? Sign up here. This week, Neon District stirs up hype with their waitlist rollout while Niftygateway continues to push the boundaries on bringing new users to purchase cryptocollectibles with just a credit card. You can now buy any digital collectible up for sale (not auctions) on OpenSea using a credit card. As more tools start to let users buy with fiat, it would be interesting to watch how purchasing power changes based upon if a user is using crypto vs. fiat. My suspicion is that if users have the option of buying with fiat, they’ll spend less money in the platform. Would this reduce overall volume on the platform even if it means onboarding new users who weren’t in crypto before? We should be measuring and optimizing for volume instead of # of purchases/holders. SwapMarket is like an atomic swap interface for NFTs (like BoxSwap), but built on 0xcert instead of 0x. Tony had a great read this week on direct properties vs emergent properties. Users come for the direct benefits (a better experience than previous) but stay for the emergent benefits (censorship resistance, composability). We haven’t found the killer direct benefit of crypto consumer apps yet — so most users haven’t been able to discover the emergent benefits. With all the news around FaceCoin this week, it would be interesting to see how xDAI programmability would compete in centralized social platforms. Will third-party developers have incentives to create markets using FaceCoin and open programmability in Facebook’s products (WhatsApp & Occulus) or will they be drawn to creating entirely new platforms with more censorship-resistant money? Reddit is already starting to let users tip on the platform with real cash, and Instagram is awarding Stickers for users who donate to non-profits. Who will be the first to make a big move? 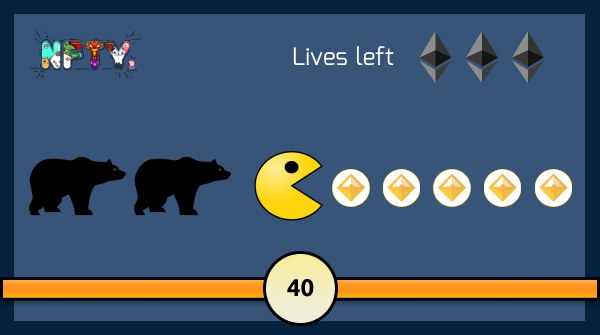 Seems like DeFi is the only thing people can talk about in the Ethereum ecosystem, but what about the combination of blockchain games and decentralized finance? Or what if you could be awarded Veil shares of a certain side of a prediction market through card packs? If you don’t like the side you got, you can sell it back or trade it for other tokens on 0x. We need more experimentation around using existing contracts to create games that wouldn’t have been possible without blockchain & open programmability. We need to stop creating these closed ecosystems. If you are working on trying to get more people using crypto applications, I would love to talk about how I can help. Reach out to me on twitter @flynnjamm, my DMs are always open. Interested in receiving NFTY News straight to your inbox? Subscribe on Substack.